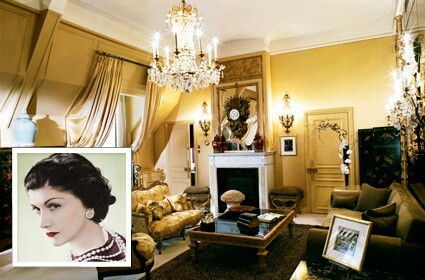 On the right bank, we’ll start our perfume walking tour of Paris at the Chanel boutique (31, rue Cambon, in the 1st Arrondissement), where the list of fragrances is familiar to most of us. But I love the more obscure selections, such as Chanel No. 22. They don’t receive as much attention, but they are originals and were created when Coco was still alive. Cristalle is also one of my favorites. For those of you who don’t really wear perfume, it’s a light and easy fragrance to wear daily. 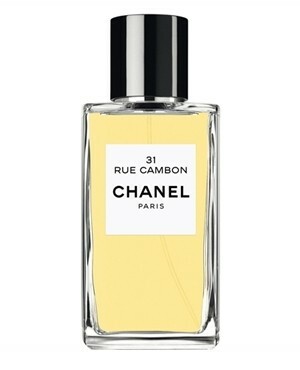 31 rue Cambon is a heady new addition to the collection, so it’s worth a sniff when you are at the boutique. Exiting the shop on the rue Cambon, walk up the street toward the Place de la Concorde, then take a left up the rue de Rivoli. On the right, you’ll see the Tuileries gardens. You’re now on your way to the rue de Castiglione and several fragrance shops that will give a heady dose of Parisienne luxury to the Paris girls who adore the classics. As you approach the golden statue of a man on a horse, marking your entrance into a rarified world, you will see the Guerlain boutique on the rue de Castiglione (2, Place Vendôme, in the 1st). 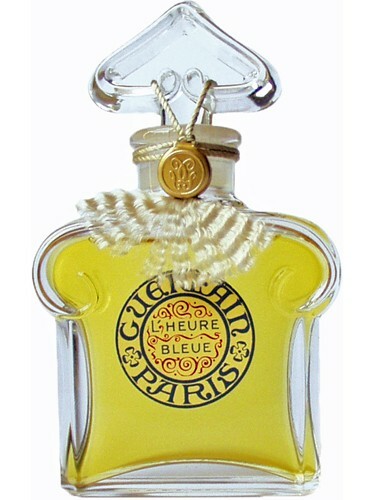 The staff will help you discover favorites like l’Heure Bleue or, for your husband or boyfriend, the newer Guerlain Homme. There is also a recently introduced fragrance called Little Black Dress, but it “smells” of a tourist attraction more than a true, classic French perfume. The boutique offers “handmade” perfumes that are ultraluxurious and dispensed in Baccarat crystal flacons. No one in the world will smell the same as you. Prices available on request, of course, for this bespoke pleasure. Once you are in the area of the Place Vendôme, you can also stop into an Annick Goutal boutique (14, rue de Castiglione, in the 1st) as well as the perfume shop Jovoy (4, rue de Castiglione, in the 1st), which is considered one of the best in the city for exclusives, classics or new boutique fragrances. 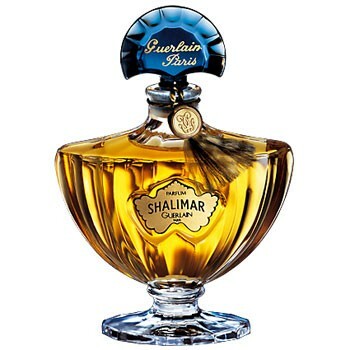 As a temple to fragrances, this shop is one of the best in the industry for fragrances from a variety of labels. Cuir de Nacre, by Ann Gérard. 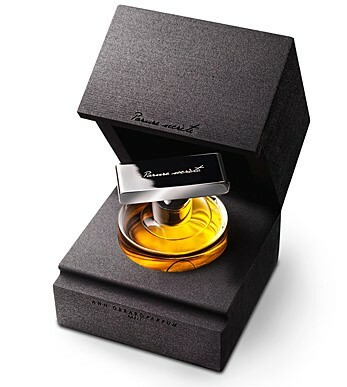 For example, another woman of great taste, the jewelry designer Ann Gérard, recently introduced her own boutique fragrances created by Bertrand Duchaufour, a famous “nose” in the world of fragrance. Working closely with a designer, these experts create perfumes that take elements of the designer’s inspirations and express them through scent. Ciel d’Opale and Perle de Mousse were the first two. When we heard that Cuir de Nacre was the new release, we were curious. Housed in its own unique jewel box, the fragrance is now part of a trilogy of fragrances that are inspired by her unique work. As you exit into the sunlight, you’ll see a Godiva chocolate shop nearby. You can’t help but adore this corner of Paris, where the perfumers and chocolatiers are conspiring to kill you with sheer deliciousness and elegance. But what a way to go. Pikke Allen aka ARTIFICE travels the time warp between Hollywood and Paris, where she is a writer/blogger/Creative Consultant for both US and French luxury lifestyle brands. Her bobo credentials were earned designing costumes for theatre, film and television. Her passion for all things fashion brings her to museums, designer ateliers, runway shows and the Paris shopping beat, where she confesses all about boho bargains or luxury shopping secrets. You can read more of Pikke’s fashion tips, trends and shopping confessions at Styliste Privée. 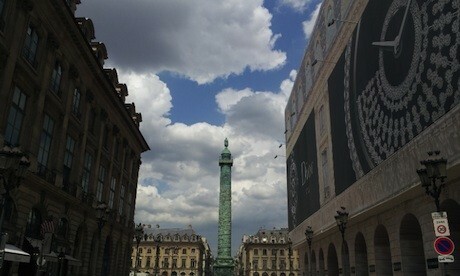 Editor’s note: Sign up for our free bimonthly newsletter and get a slice of Paris twice a month!